Decks add more than just beauty to your home - they create a totally new way to enjoy your home. A beautiful deck can transform your back yard into a new vacation spot right here in Richmond, VA. What a perfect way to enjoy a sunset, listen to the sounds of nature and entertain guests. At Advanced Home Exteriors, we'll help customize and implement your vision of the perfect deck to compliment the character of your home. We offer a variety of styles as well as different types of railings. And if you're in need of simple deck repair, we'll spring into action and not only repair the problem, but put in a fix that assures that problem won't arise again for a long time. 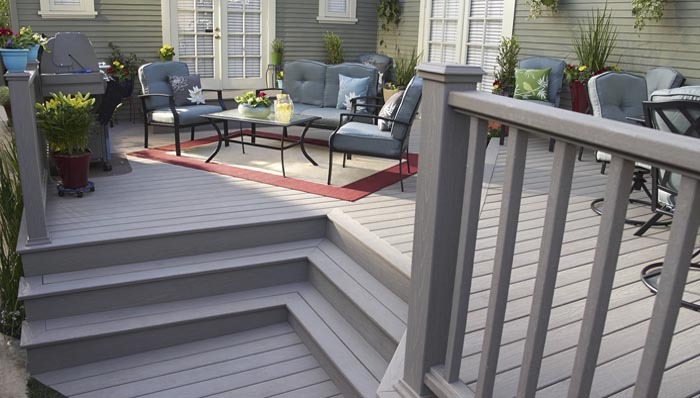 Wood decks, composite decks, vinyl decks and much more are all decks we can assist you with. Call us today to see how we can assist you.